Edwin Mayorga is a parent, educator, scholar-activist. He is an Assistant Professor in the Department of Educational Studies and the Program in Latin American and Latino Studies at Swarthmore College (PA). 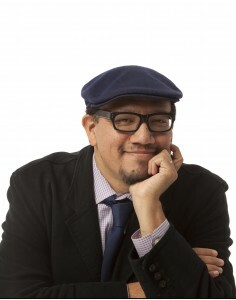 His work centers primarily on cultural political economic perspectives on urbanism, urban education policy, Latinx education, digital social science, and teaching for social justice. He is founder and lead researcher of theEducation in our Barrios (#BarrioEdProj) in Philadelphia (@BarrioEdPHL) and New York City (@BarrioEdProj) which is a youth, participatory action research (YPAR) collaborative whose goal is to work with and for youth in urban, Latinx core communities. He completed his doctoral studies in Urban Education at the Graduate Center of the City University of New York (CUNY-GC). His dissertation, Education in our Barrios @BarrioEdProj, was the first study conducted by the #BarrioEdProj collaborative. The study was a participatory project that examined urban change within the Latinx core community of East Harlem (El Barrio) and and its local schools during the mayoralty of Michael Bloomberg (2002-2013). He has written articles and book chapters on #BarrioEdProj, school closures, and digital, critical participatory action research (D+CPAR). He is the co-editor (w/Picower) of the volume What’s Race got to do with it: How Current School Reform Policy Maintains Racial and Economic Inequality from Peter Lang. At Swarthmore Edwin has created the Critical Education Policy Studies (#CritEdPol) group, which is a space geared toward encouraging critical discussions and writings within the field of education policy. Recently the group published the first issue of #CritEdPol, an open source, online, journal of critical education policy studies for undergraduates and education advocates. He is currently conducting a study on the implementation of the Community Schools Strategy in the city of Philadelphia in collaboration with the Community Schools Task Force of Philadelphia. He has taught: Introduction to Education; Teacher Narratives, Policy & Power; Urban Education, Education Policy; Urban Politics, Policy & Education; Student Teaching Supervision; and Ethnic Studies & Education. Originally from the Los Angeles-area, Edwin is a child of working class, Nicaraguan & Nicaraguan Chinese, immigrant, parents. He has a BA in History from UC-San Diego, where he was also a McNair scholar. He has an MA in Elementary Education from Teachers College, Columbia University and NYS N-6 Teacher Certification. Edwin, and his family, currently live in the Swarthmore, PA area. He lived in New York City between 2000 and 2014, working as an elementary school teacher in the NYC public school system between 2002 and 2007. During his years as a doctoral student, Edwin was an Instructional Technology Fellow at CUNY’s Macaulay Honors College (Lehman College) and a Writing Fellow at Hostos Community College. He was also part-time faculty at Hunter College and New York University. Between 2002 and 2014, Edwin was a core member the New York Collective of Radical Educators (NYCoRE) a grassroots collective of current and former public school educators who believe that struggle for justice must happen both inside and outside the classroom. He is a participant in the National Latino Education Research & Policy Project (NLERAP), and on the community advisory board of the Participatory Action Research Center for Education Organizing (PARCEO). His graduate studies were supported by CUNY-GC Enhanced Chancellor’s Fellowship, and his dissertation was supported by a CUNY-GC Dissertation MAGNET Fellowship and a GC Provost’s Digital Initiatives Grant. Over the years Edwin has also worked on website development and integrating digital technologies into educational environments and social justice activist circles. He was a co-coordinator of the CUNY Internet Research Team (@CUNYirt) which is a group of students, faculty, and staff from the CUNY-Graduate Center that are interested in thinking about research on, about, through, and with the internet.